Greek goth purveyors On Thorns I Lay are accomplished veterans, having contributed much to the goth aesthetic of earlier years. The stripped-down melodeath-doom of their new album Aegean Sorrow, however, is a far cry from the straight-faced goth stylings of Orama and Crystal Tears or the edgy alt-rock of 2003’s Egocentric. Aegean Sorrow is a purposeful and driven comeback statement by a band that’s certainly seen more than its share of ups and downs, as well as a hiatus which lasted over a decade. Longtime fans might have mixed feelings on the band’s pivot away from many of their previous hallmarks, but viewed on its own terms, Aegean Sorrow is a focused record that effectively utilizes its limited palette of ingredients. On Thorns I Lay have made shifts of tectonic proportions even in the few short years since Eternal Silence. Gone is the ethereal Maxi Nil, as On Thorns I Lay have completely jettisoned the haunting vocals that provided much of their gothic mood. Instead, they rely solely on the guttural roars of Stefanos Kintzoglou, who in turn has delivered the most powerful performance of his lengthy career. Though Kintzoglou reverts back to his refined clean vocals at times, particularly towards the album’s final third, it’s his subterranean rumblings that render the strongest impact. Many of the band’s prior atmospheric elements are also absent. There are subtle synths in various places around the record, but these are employed more as textural buttresses than as tangible voices of their own. Nearly all of the melodic weight is shouldered by the harmonized majesty of guitarists Christos and Akis, ringing out in twin triumph over thick chords and lumbering drums. Few moments of lightness are found on the record until “Olethros Part II,” which along with its partner “Olethros Part I” marks the album’s midpoint. “Olethros Part I” opens, after three crushing and dreary doom anthems, with dry mid-tempo chugs. It’s an abrupt gear-shift that almost feels as though it doesn’t quite belong on this otherwise downtempo album. Soon, however, Kintzoglou emerges with his deepest vocals yet, and as the song transitions back into the album’s now-familiar melodic doom pacing and lush guitar harmonies, those eager chugs are soon forgotten. The Opeth-styled “Olethros Part II” takes a softened approach with warm acoustic guitar, whispered lyrics, and languid ghost notes from drummer Fotis. Inevitably, as is the case with “Olethros Part I,” On Thorns I Lay revert back to the melodic death-doom in which they have chosen to specialize with this record. A glorious guitar solo stretches over the song’s second half, before resolving into “The Final Truth,” the album’s gothiest track. Guest vocalist Paul Khur melds his noble clean vocals with more mid-tempo chugs and violin, hearkening back to the On Thorns I Lay of old, but it’s a brief glimpse of their former selves until the trudging doom returns. From here, the band choose to wind the album down slowly as opposed to letting it conclude as explosively and memorably as it begins. Aegean Sorrow is severely front-loaded, as its title track along with lead single “Erevos” and fourth track “In Emerald Eyes” are its strongest songs as well as its opening salvo after the brief intro. Kintzoglou’s imperious roar is rarely heard on “The Final Truth,” and from that point on, it’s completely and conspicuously absent. Instead, On Thorns I Lay bring their latest outing to a drawn-out close over the final two songs — more of an indulgent joint outro than proper songs of their own. Had the band chosen to streamline further, zeroing in on a marriage of the hypnotic final movement of “Aegean Sorrow” with the catchy crispness of “Erevos,” the record would be all the stronger for it. It’s worth mentioning as well just how good the record sounds, thanks to the talents of engineer Dan Swanö. Kintzoglou’s booming vocals are truly massive, the guitar chords, bass and drums are full and weighty, Fotis’ cymbals shimmer and sparkle, and the twin guitar leads are maudlin despite their warmth. As a whole, Aegean Sorrow is dripping with confidence, and despite the handful of arguable missteps in its latter half, the album is still a strong, competent outing for the band. 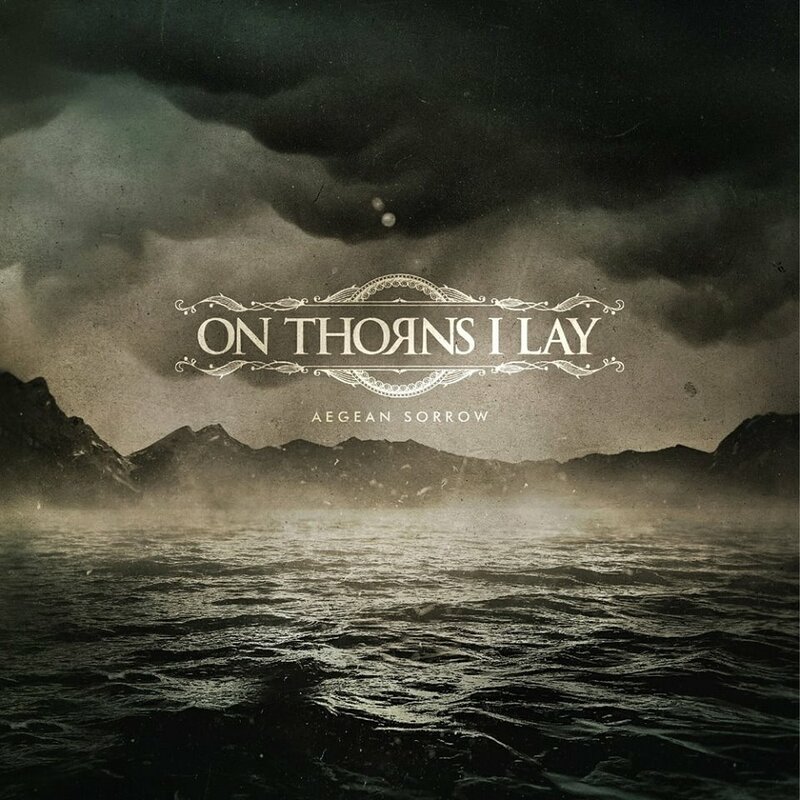 With plenty of ammo left in their clips, On Thorns I Lay have reinserted themselves into contemporary metal discourse with an album that is as relevant as it is impressive. Aegean Sorrow is out today on Alone Records in CD and digital formats, and with The Vinyl Division on vinyl.